After the database behind this blog has been upgraded, it seems to be running faster (at least: that’s how it looks from where I’m sitting – please let me know if you see it differently). So everything should be great – and in a way it is! But because of a lack of inspiration and too much time working; I can’t seem to get anything useful out of the increased speed. This entry was posted in BaseWord on 22 February, 2008 by Erik. Sometimes a few of my colleagues and I take a small detour after work; to talk about things that might not be especially work-related – and to have a beer. Everybody probably knows what a beer look like, so instead I’ll show you the view from the pub. 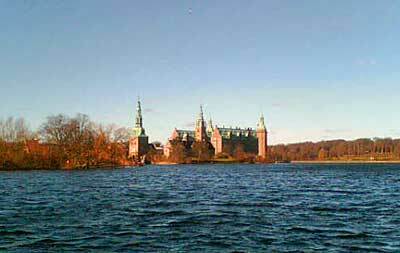 Frederiksborg Castle – the largest Renaissance palace in Scandinavia. Photo taken few hours ago – sorry for the quality, I only had the lousy camera in my mobile phone. This entry was posted in BaseWord, PhotoBase on 15 February, 2008 by Erik. The company that hosts this blog has just informed me, that they plan to upgrade the database on the server 13 February. Hopefully that shouldn’t cause problems other than the approx forty-five minutes downtime. If you can’t get through to this site on Wednesday, please try again a little later. If the problem remains, then something has probably gone wrong, and I have started working on “Plan B”. This entry was posted in BaseWord on 8 February, 2008 by Erik. Sorry for the absolute lack of anything remotely intelligent – or anything at all – for so long! My mind has been wandering, and hasn’t returned yet. It may be lost. This entry was posted in BaseWord on 2 February, 2008 by Erik.